The best part about a low country boil is all the leftovers. 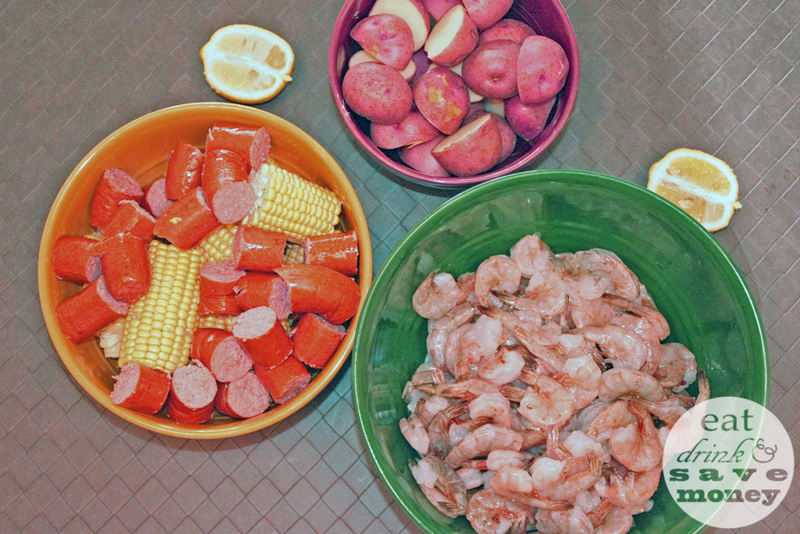 I love enjoying low country boil leftovers for days after we entertain guests with a shrimp boil. 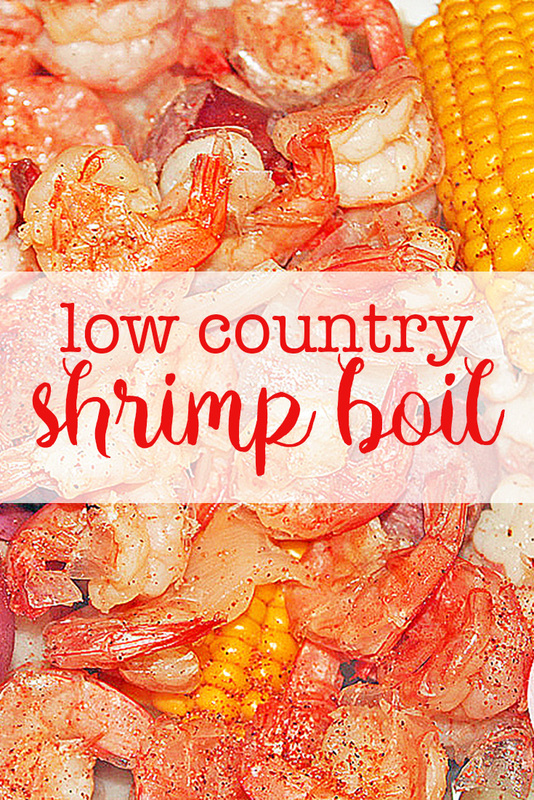 Follow these tips for the next time you find yourself with leftover boiled shrimp. Simply separate the shrimp from the rest of the meal if you want the potatoes, corn and sausage served warm. If you want the entire thing warm, it’s easy to throw small batches into the microwave, but don’t cook too long. 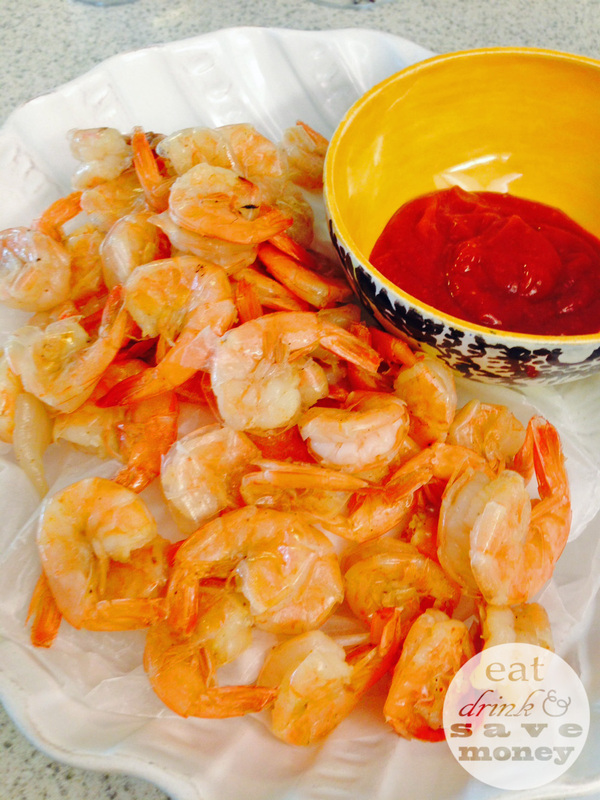 Overcooked shrimp is never a good thing. Boil some water, add more seasoning and throw the entire meal into the water long enough to reheat without cooking. Several minutes at the longest. 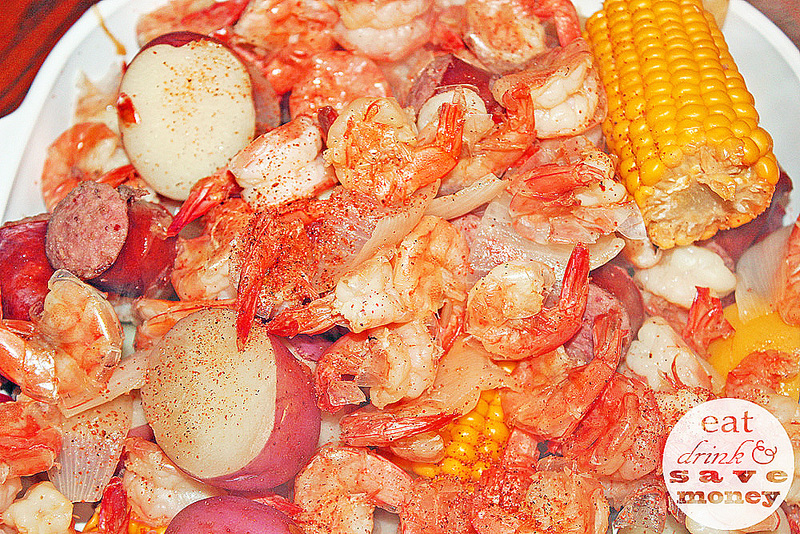 I once put together a huge low country boil when a couple of friends were supposed to come to dinner. A delayed plane changed out plans. Before I knew it, I had a low country boil large enough to serve an army but only two people to eat it! Since I hate food waste, I had to come up with a way to avoid wasting all of this food. Tom and I ate as much of the fresh low country boil as possible on Monday night. Then we had to get creative with the rest of it! I separated the shrimp from the potatoes, corn and sausage so I could heat up everything but the shrimp the next day. On Tuesday night I served the potatoes, corn and sausage as a side dish and the boiled shrimp cocktail style with homemade sauce. 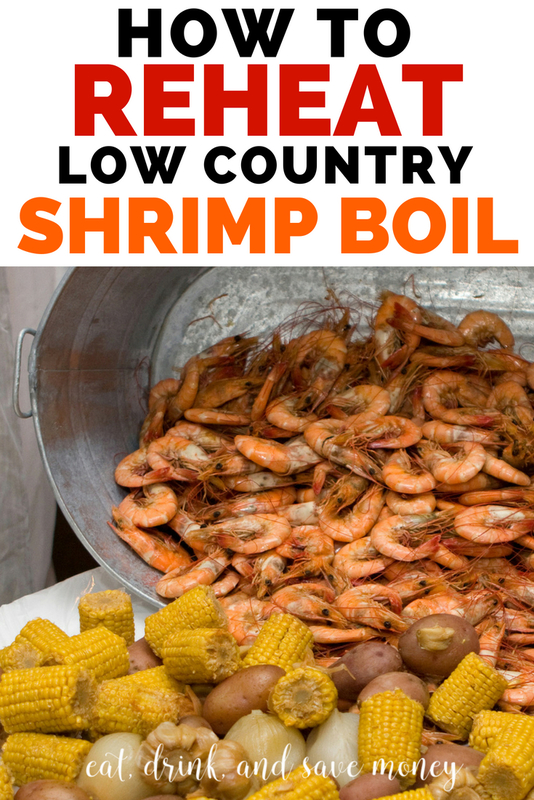 Lucky for us, low country shrimp boil tastes good hot or cold. Here is the recipe I used. Husk corn and cut each ear in half. Place onion, corn, potatoes, sausage and crab boil in a large stock pot and cover with water. Bring to a boil. Let boil for 30 minutes. Check if potatoes are tender, if so add shrimp and cook for 3 more minutes or until pink. Drain water and serve hot. Coat with extra Tony Chachere's for more flavor. You can also let cool and serve cold. I honestly think repurposing this meal with zero waste is one of my finer moments when it comes to food waste. Have you ever been in a similar situation? How do you store leftover seafood? Ah, your pictures make me hungry! It was a great save, Hannah! I’m sure your friend appreciated the effort you made to rescue the ingredients so she could taste it the next day! Thanks for posting the recipe, I’ll have to make it at some point. One of my favorite memories of the past few years was eating low country seafood boil that friends had prepared while we were camping in a group. We ate it with our bare hands, around a campfire, after a long day of outdoor activities, and it was the best dinner ever. Did you make your own coconut breading for the shrimp? Care to share that recipe? I’ve been meaning to write down a real recipe with actual measurements. Right now all I can share is a “method”, but I hope to have a real recipe put together next time I make it. I put flour in three different bowls. I keep the first bowl plain flour, add water or coconut milk to the second bowl to make a thick gravy consistency and then add shredded coconut to the third bowl (1:1 ratio). Heat up the oil in a deep fryer or Dutch oven. Peel shrimp and dredge in each mixture- flour, gravy, then coconut mixture and add to hot oil. Cook until golden brown and let cool on a cooling rack. I know it isn’t a real recipe yet! Hopefully this can put you in the right direction! This is so great! I never knew how to make this. Thanks!